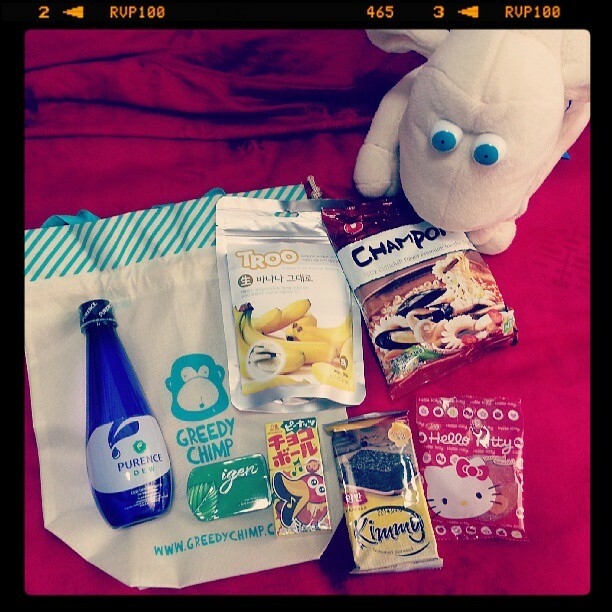 (Sponsored Review) Unveiling Greedy Chimp June’s Summer Loots! Happy weekends everyone!! How’s your Saturday?? Few weeks ago, i was feeling unwell (the usual monthly headache & cramps) hence was on MC resting at home .. Was feeling damn sian and restless till i received a delivery which instantly brightened up my day. 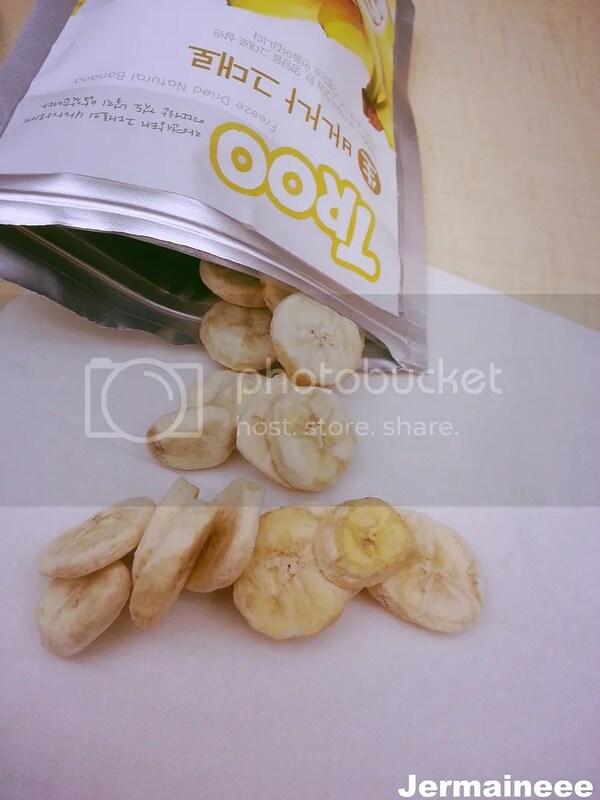 Unveiling Greedy Chimp June’s Summer Loots – filled with specially picked surprise mix of snacks (known as LOOTS) delivered right to my doorstep! 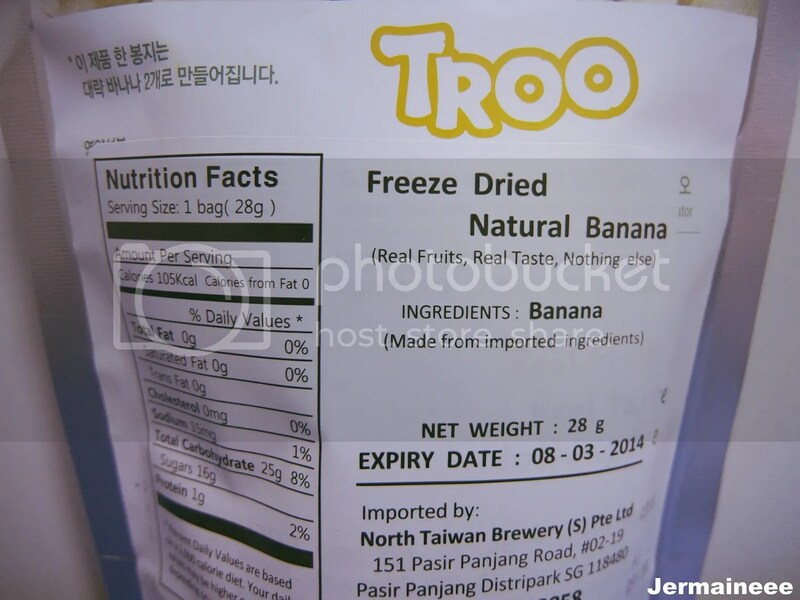 Greedy Chimp is a food subscription service whereby you will receive a bag filled with specially picked surprise mix of snacks (known as LOOTS) which will be delivered right to your doorstep every month..
Snacking can be healthy and guilt-free with Troo Freeze Dried Fruits! 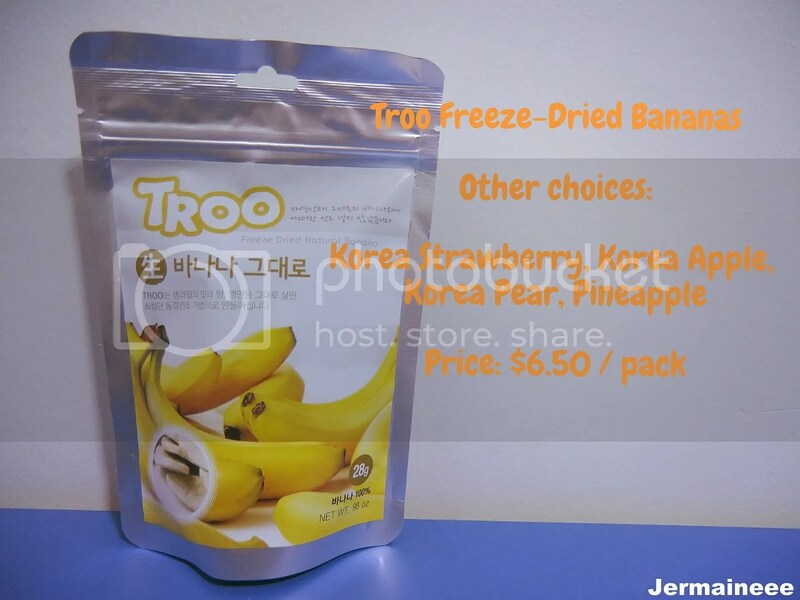 The fruits are freeze-dried at temperatures below -40 degrees Celcius, which allows the nutrients to be preserved for long duration. Made with real fruits, with no added preservatives and no allergy-triggering soybean, peanut, buckwheat and egg, this is a healthy and nutritious snack to be enjoyed anytime during the day. In case you are wondering why you are not seeing this snack on the shelves of supermarkets, this is because it is sold exclusively at Greedy Chimp. 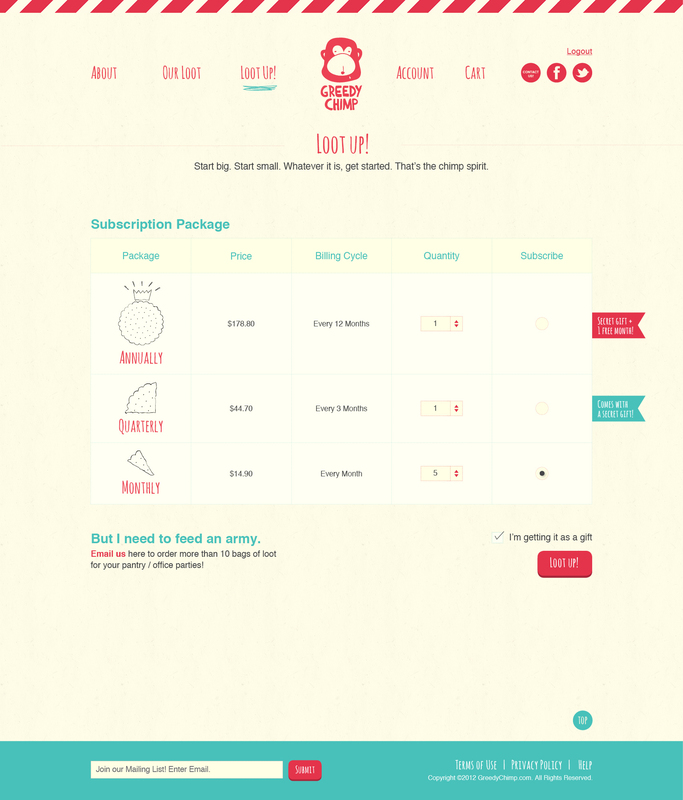 You can contact the team at wantsnacks@greedychimp.com to place your orders. 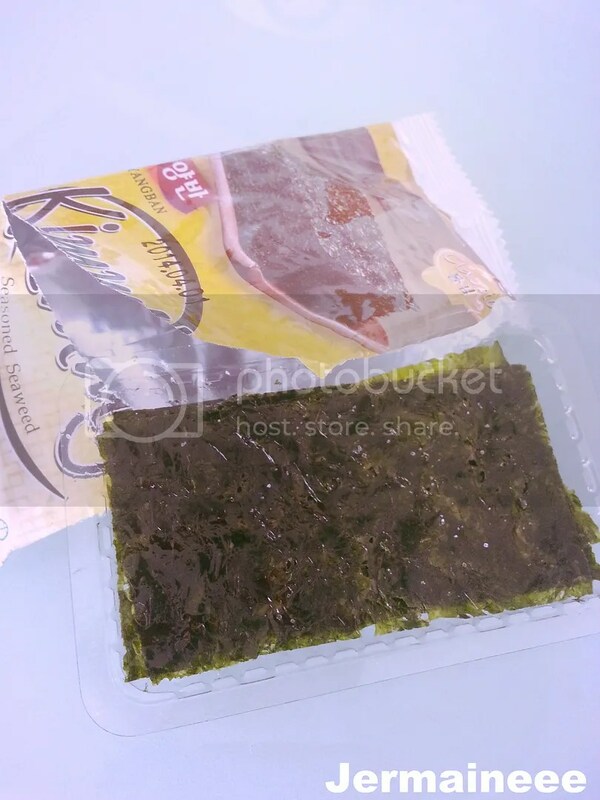 The pack is resealable so the content will stays fresh.. Only thing that i don’t like about this snack is that it is very sticky after biting into it (and hence it will stick onto my teeth and i will have to brush my teeth to get rid of the remains!). There’s many reasons to drink water, keeping yourself hydrated, better health and have shinier hair and beautiful skin! Summer will be hot hot hot and the best way to protect yourself from the summer heat will be to hydrate yourself with water as clear as morning dew! 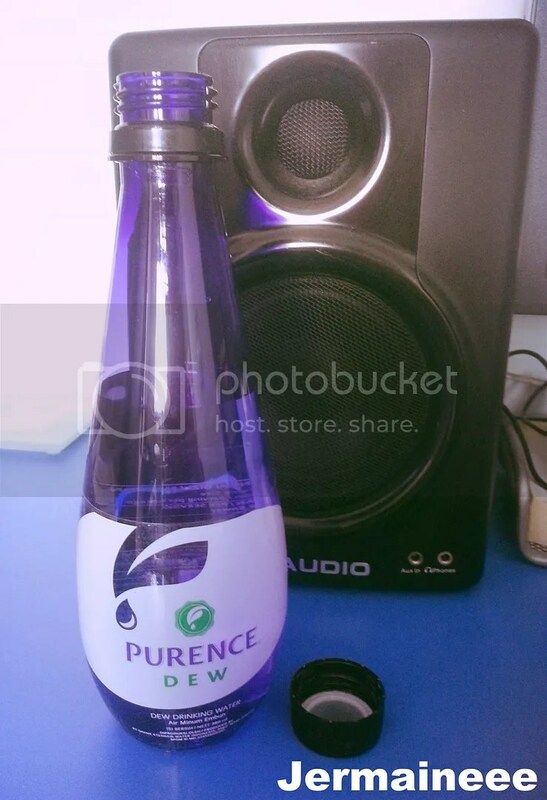 Introducing Purence Dew – the beneficial water to helps our body to fight against cholesterol, atherosclerosis and constipation! 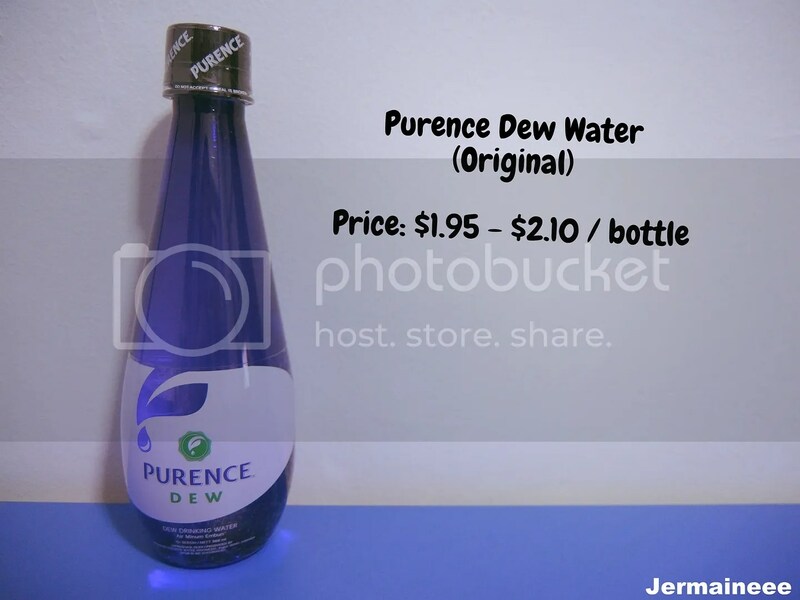 It is free from inorganic minerals (which can cause heart disease, arthritis, rheumatism etc), heavy metals, and pesticides that are harmful to the body. Chocolates – My happy food! The Morinaga Choco Balls is made perfect for popping and these chocolate coated balls has a little favour surprise hidden inside.. 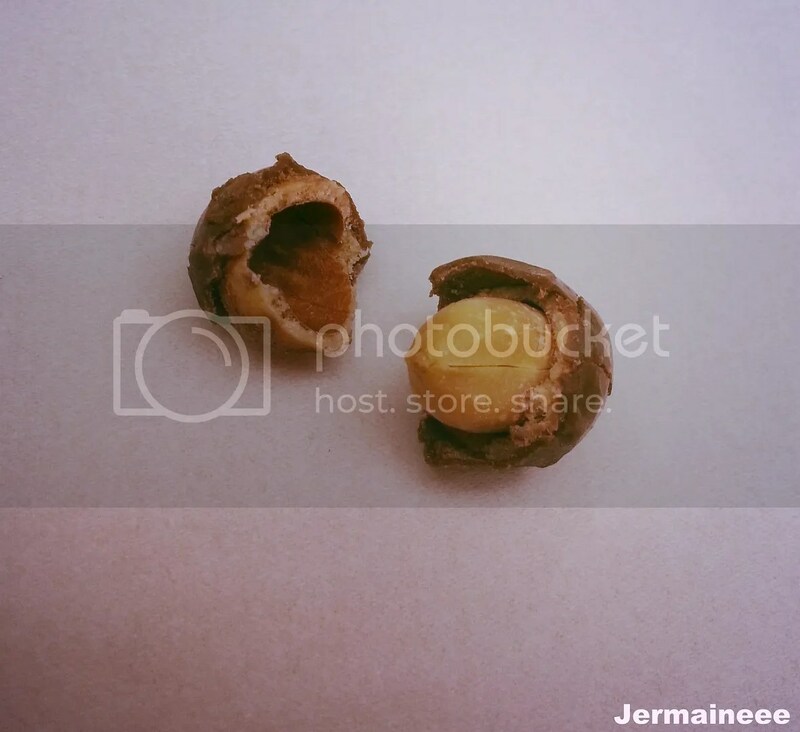 In my bag, i have received the one with peanut. This is also sold exclusively at Greedy Chimp and you can enquire through wantsnacks@greedychimp.com to purchase more! Choose from peanut, caramel or strawberry filling! Anything associated with chocolates, i will love it! 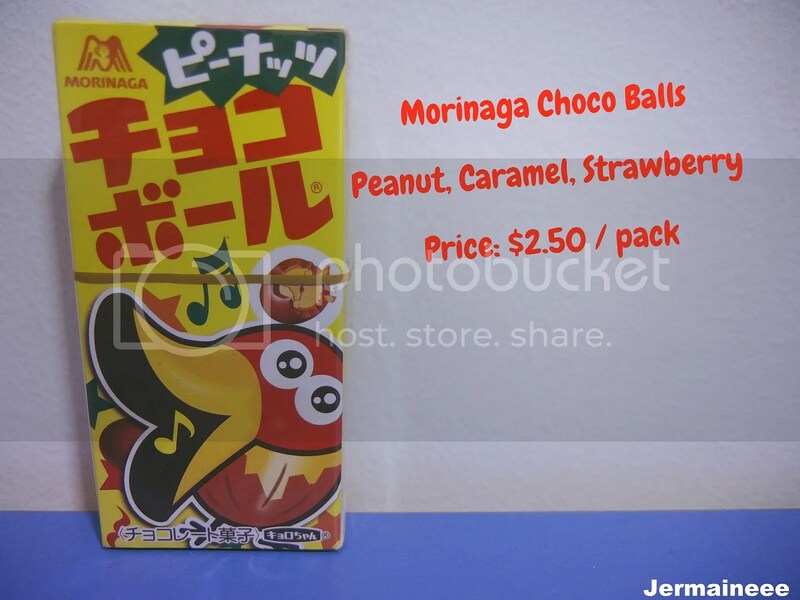 The packaging of the Morinaga Choco Balls is so eye-catching and the chocoballs with peanut is so yummy + crunchy/crispy!! Choco-ball yummy yum! 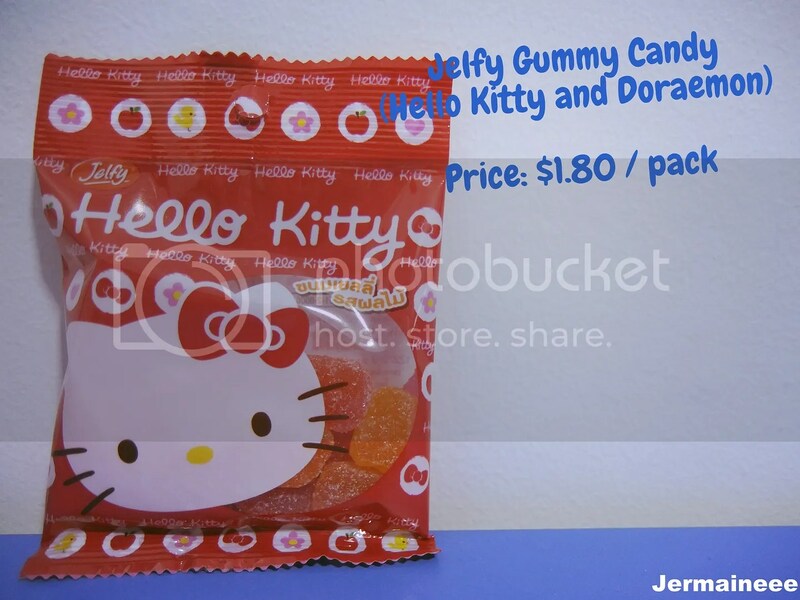 For Hello Kitty and Doraemon lovers, here’s a collectible. hehe! Available exclusively at Greedy Chimp, these gummies come in juicy flavours that add a sweet, citrus punch to your snack inventory! Gave this pack away to the girl whom my mum is babysitting.. She was so excited and told me that she will seek approval from her mummy to eat the gummies! Really guai (obedient!).. Sold exclusively at Greedy Chimp. 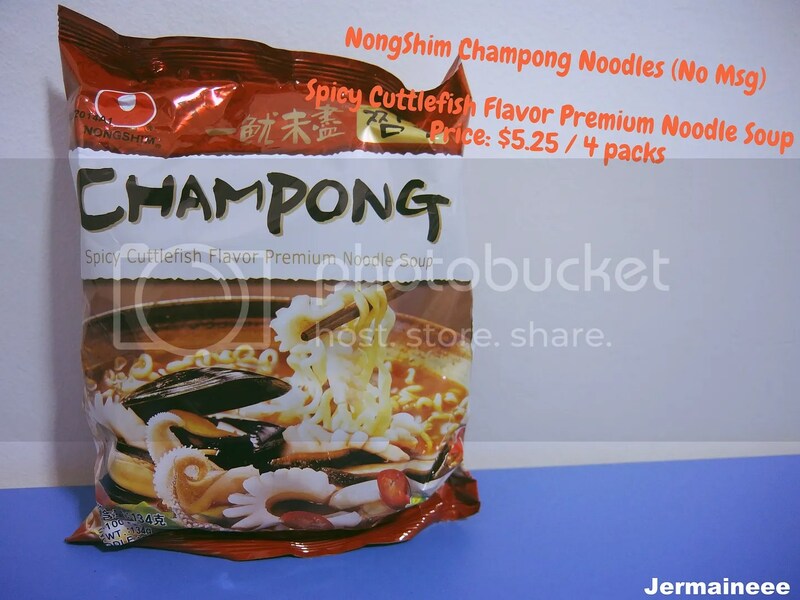 Price: $4.95 / 6 packs, Sold exclusively at Greedy Chimp. 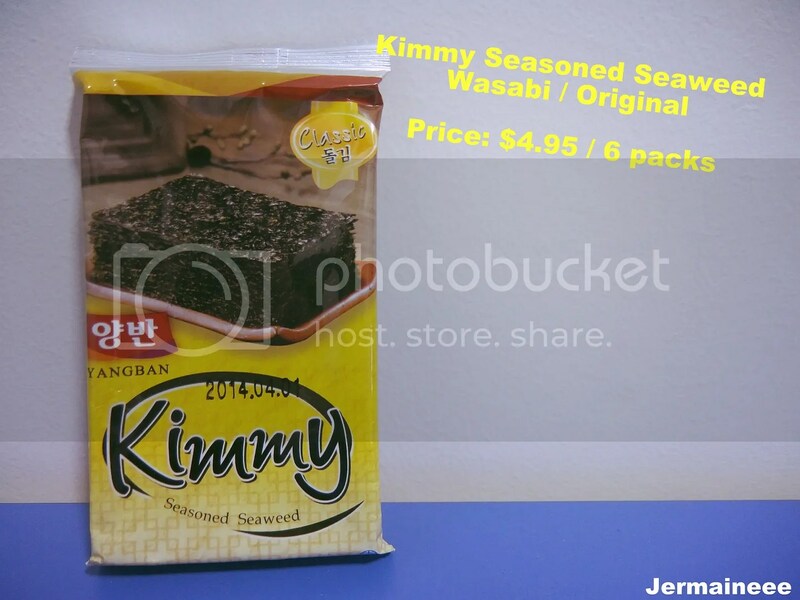 Luckily i did not get the wasabi favored seaweed as i’ll enjoy the original favored ones better. Don’t really like the ‘sending the heat up my nostril’ sensation and i will only appreciate wasabi with salmon. The original ones are light in taste, slices are thinly sliced and crispy! 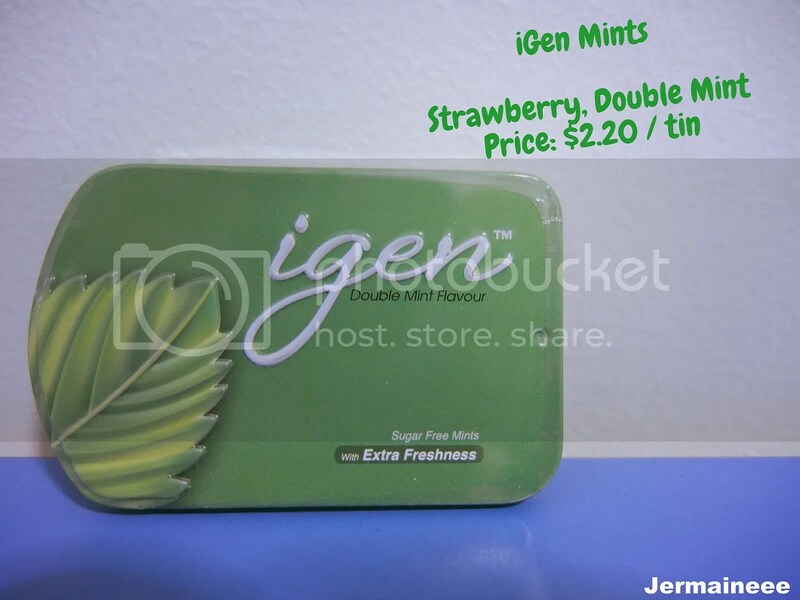 Last item in my bag, it is the iGen Sugar Free Mints which will keep my breath minty fresh.. Best of all, it is sugar-free and it is available in 2 choices – zesty strawberry or the freshest double mint. 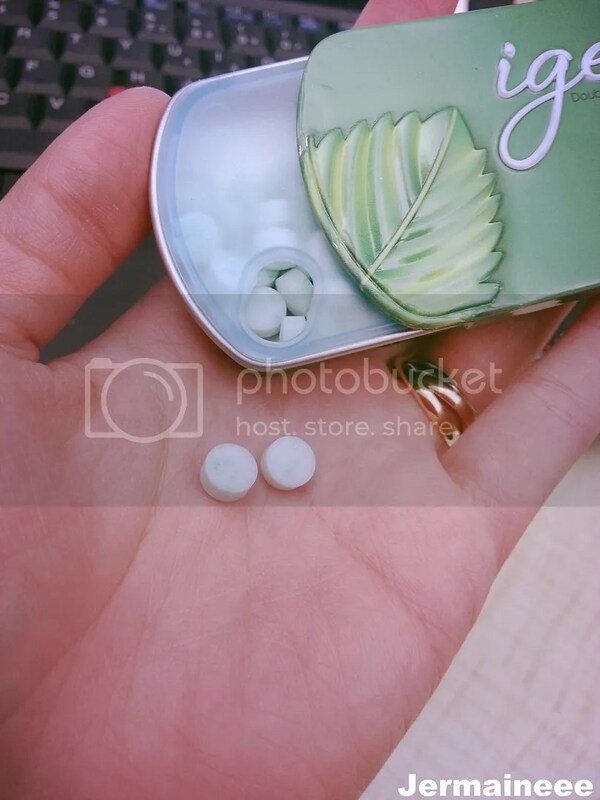 Was struggling to slide open the tin but despite this minor hiccup, the spearmint favored mint is refreshing and helps to freshen up my breath. 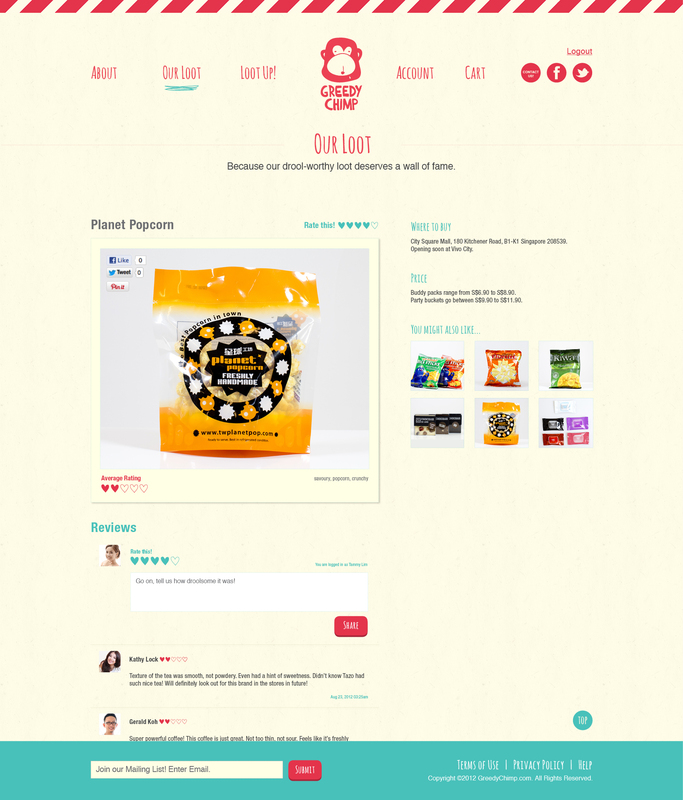 For subscribers, you can now share your love for the snacks you received by heading to the website to rate + review! Thanks for reading and have a nice sunday ahead! (Event & Sponsored Review) Unveiling Shiseido’s latest hair care technology – The Tsubaki 2013 range! (Sponsored Review) Better Beauty sg | Hurraw! Lip Balms | Deborah Lippmann’s nail polishes!